Hitec continues to bring you exemplary power and convenience with our latest Power Peak D7 AC/DC Charging Station. 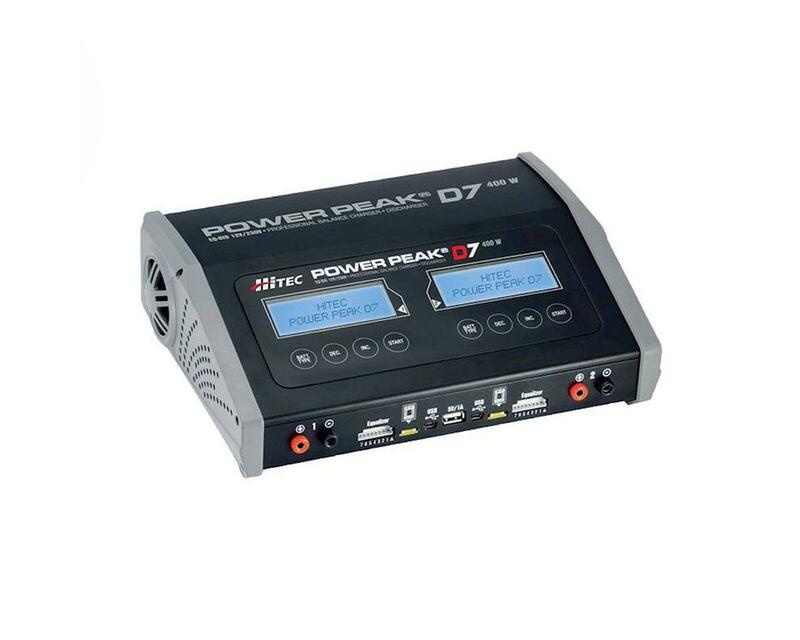 Armed with two independent 200-watt output ports, producing up to 20 amps of charge current each, the PowerPeak D7 is capable of charging all battery chemistries quickly and efficiently. 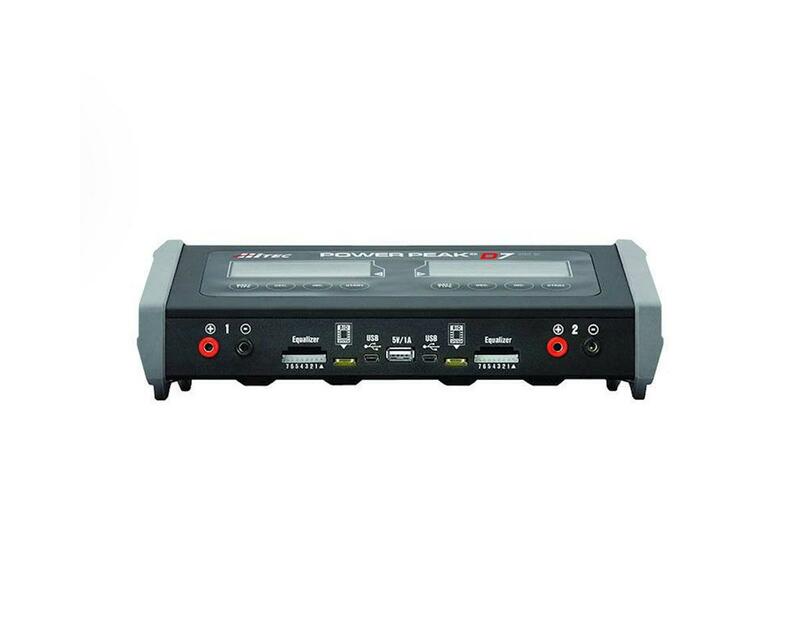 The D7 also features mini USB sockets, allowing you to monitor battery health using the latest Logview Software, and stay current with convenient software updates. The 5V/1A USB charge socket provides compatibility with all your Smartphones, digital cameras and other USB-powered devices. Multiplex's integrated BID system brings unprecedented convenience and safety to the Power Peak D7, with its worry-free programming for batteries with the optional BID keys and chips. Essential pack configuration data is automatically passed to the charger, allowing you to simply plug in your battery and start charging, without any further setup effort. The PowerPeak D7 has two separate backlit, graphic screens for readability and four language choices: English, German, French or Italian.